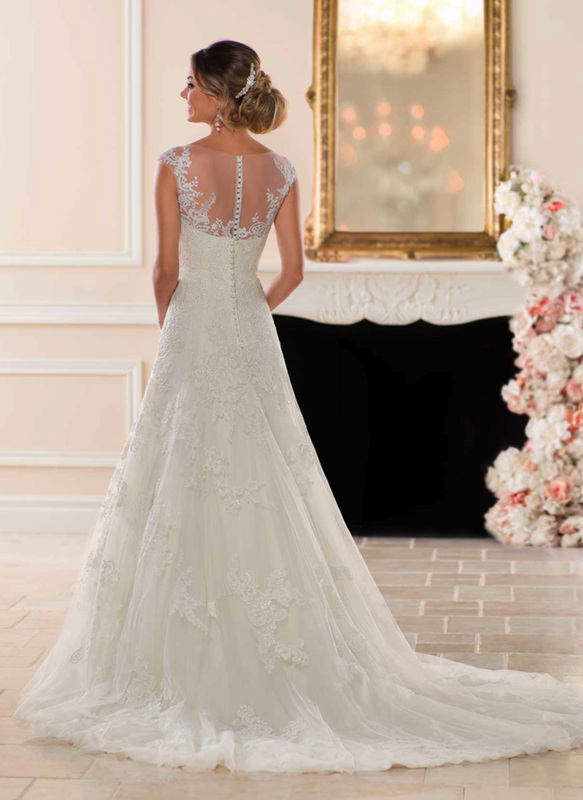 Beautiful flower lace takes centre stage in this modern A-line wedding dress from designer Stella York. 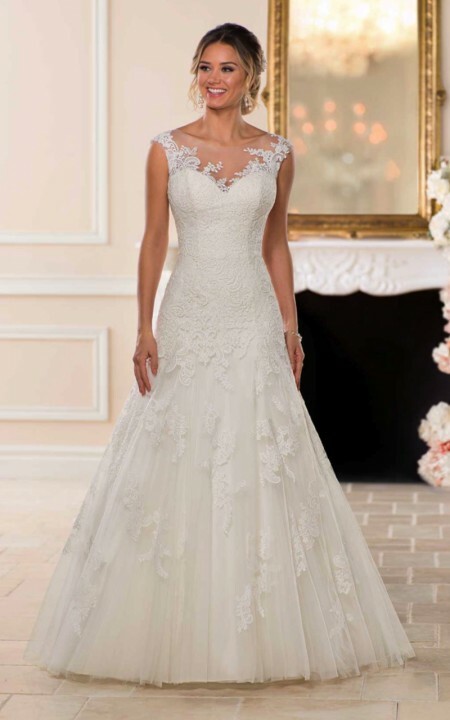 Lace and tulle over matte satin create a stunning example of bridal style. 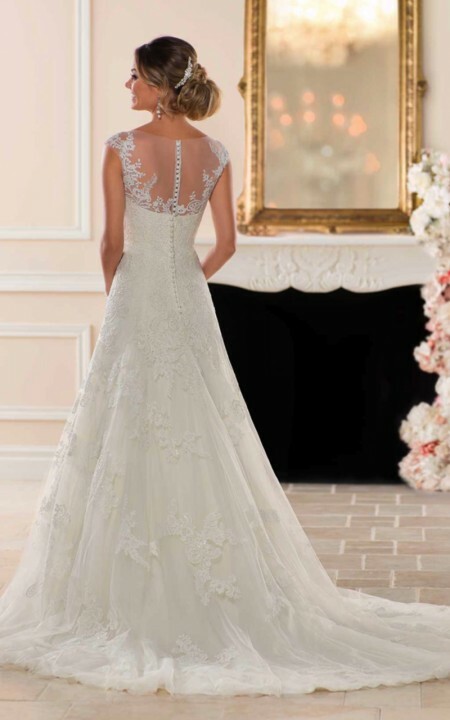 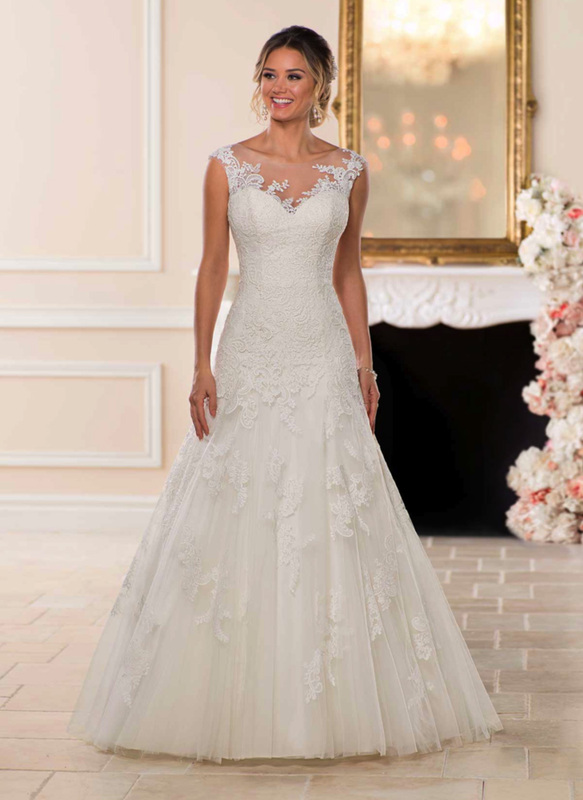 Multiple layers and patterns of lace are used throughout the dress, giving it a depth. Fitted through the bodice and flaring with elegant grace just at the hips gives the bride a wonderful shape. 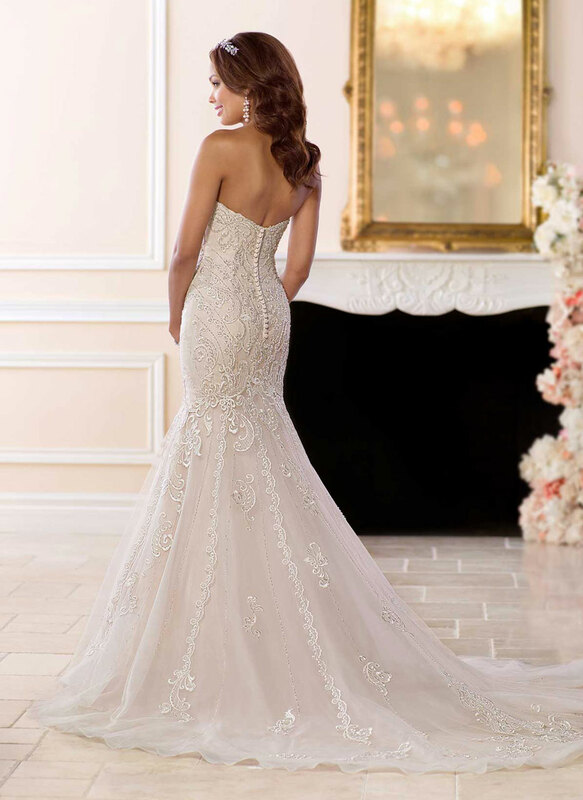 A long lace train adds just a touch of formality to this otherwise soft look.